In 1912 a bloke who would soon become known as The Elephant Wrestler came to Takapuna. By 1939 he had world wrestling championship bout to his name and was also known to take on larger species of the animal kingdom thus said elephants came to fear him but locals came to love him. So let us raise a toast to your larger than life local. Food was good. Only the Chips are really to fat. The slow cooked meat was the best we had in awhile. New menu is great! Well done, we all enjoyed our meals. perhaps a little gripe about the service, several times we had to hunt down staff to get our drinks, when at times there were a couple behind the bar chatting. First time here as we normally dine in the city/viaduct but had heard this place was good and so gave it a try. Amazingly they have a $15 menu on Monday nights so we ordered 7 different mains and they were all delicious!! Can't wait to go back & try more...was worth the drive for us! Even their full prices are very reasonable...nice relaxing ambience....we will be back! that is great to hear. We are pleased you enjoyed your visit with us and especially that you considered it great value for money. Head down and see us again soon and have another great night out. thanks so much for your 5 Star Rating and lovely kind words. We hope you enjoyed cutting shapes on the D Floor. Do come down and see us again soon. Being a Friday night it was noisy but the food and service were very good. Recommend the Dragon Babies. We personally would choose another night to go again. thanks for your feedback. We certainly understand how some Friday;s can just get a little loud but unfortunately some of that is out of our contro. Some Friday;s are just crazy busy. We are so pleased that with the ambient noise issues presenting themselves that you still managed to enjoy the food, beverage and service. We do hope that you return and see us again. I can assure you that not every Friday is like the one you experienced and we sincerely hope that we see you again soon. Wow wow .The lady who served us tonight needs a big bonus. She seemed  to be doing it all by herself  and  with a smile . Always under control  for a huge  crowd .So yes We would go back and the food was fantastic. But please tell her awesome  Job.. Thanks so much for your fantastic feedback. We will certainly ensure that the feedback is passed on. We are really pleased to hear that you will be back. Just don't wait too long as we loved serving you. Wow!! We are very pleased to have exceeded your expectations and are so pleased that you will be returning to see us again. We are so pleased to have received your 5 Star Rating across the board and it is so good that you have found tat our pub is just that. A pub that we enjoy delivering at a high standard. We can;t wait for you to come back. Delicious food and Angela, our waitstaff was fantastic! we are pleased to hear that you enjoyed your visit and that Angela made such an impression on you during said visit. She really is a star and we are lucky to have gher on our team. We are also pleased you enjoyed your food and beverages as well. Please do come back and see us again soon. I found it too noisy for me as I could t heard my friends conversation but I couldn’t fault the service . My fish was a little disappointing as it was over done. thanks for your feedback. We re very sorry that your fish dish was not up to standard and I do apologise for this. We are glad that you enjoyed the service and I am sorry that you found it a bit loud. Unfortunately that is Friday nights. We do hope that you decide t join us again soon perhaps on a night other then Friday. Thanks again for your feedback. We had a company Farewell Lunch gathering for a work colleague for approx.36 people. Great place for this sort of function - great service, really good food & plenty of it. thanks so much for your lovely words and the overall 5 Star Rating. We certainly hope that your colleague felt treated. Let us know if you wish to book again in the future. We really enjoyed looking after your guests and colleagues. Had a fantastic time. Will be back. Thanks for your 5 Star Rating. We are so pleased that you enjoyed all parts of your visit and we really do appreciate your kind words. I am certain that the team will appreciate it all as well. Please do make sure that you come back and see us again as soon as possible. Awesome service, made my birthday a blast! We are so pleased that we could play a part in making your Birthday so special. We certainly hope that you do come and see us again really soon. My wife and I had a lovely dinner out at this restaurant. Staff were friendly, food was really good, though there was a small issue with my cauliflower and potato curry. The potatoes were undercooked. Staff apologised few times and gave us a discount so all good. Definitely will visit again. Thank you so much for your feedback and rating. I am so sorry that you had an issue with your curry dish but I do hope that the team found a satisfactory compensation for you . We certainly hope that we did enough for you to want to come and see us again soon. Always a great time at the Elephant Wrestler, staff are so great and food and drink was excellent. Delicious food and a great atmosphere. We were keen to settle in for the afternoon but it was just a bit too long in between service for drinks so the momentum was lost a bit. Still had a great time though! thank you for your feedback, we will certainly ensure that this feedback is passed onto the Duty Manager from Saturdays service. We certainly do value your feedback and appreciate you favourable rating. Please do come back and see us again soon. Thanks for your lovely feedback on each category and the additional written feedback. We truly appreciate it and will ensure all is shared with the team. Please do come and see us again soon. The manager was so nice. we are so pleased that you enjoyed your visit and that you were treated as we would expect. We do hope that you come and see us again soon. Thanks so much for your really helpful feedback. We do appreciate you taking the time to drop us your comments and do appreciate the awesome rating. The rugs are shampooed monthly but we will definitely look at increasing this. THanks again, we hope that we see you back again soon. 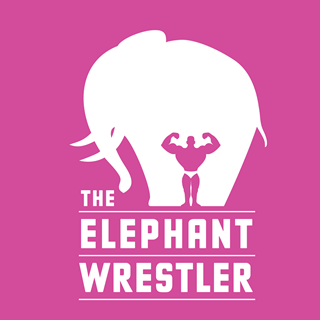 Always awesome to visit the Elephant Wrestler Crew, relaxed atmosphere and great food! Wow. thanks Rachel. This is great feedback and we are so pleased that you enjoyed your visit and that the team took what looks like special care of you. You are right, we are very luck to have both Aimee and ALex on the team, they really do care. I am glad that you enjoyed your visit and we hope that we do see you again really soon. Service wasn't great this time. Keep coming back, still one of our fav places in Taka! Cheers and I look forward t hearing from you. thanks for your lovely feedback and the ratings you provided. We are so pleased that the staff made such an impression and that you felt you received great value for money. Come and see us again soon, but remember we have an awesome Happy Hour from 5pm - 7pm 7 days a week. Good food, with generous portion sizes. Great courtyard area. Thank you so much for your fantastic feedback. We are so very pleased that you enjoyed your visit. Please do come back and see us again soon. Remember we have an awesome Happy Hour 7 days a week from 5pm-7pm. See you again soon.